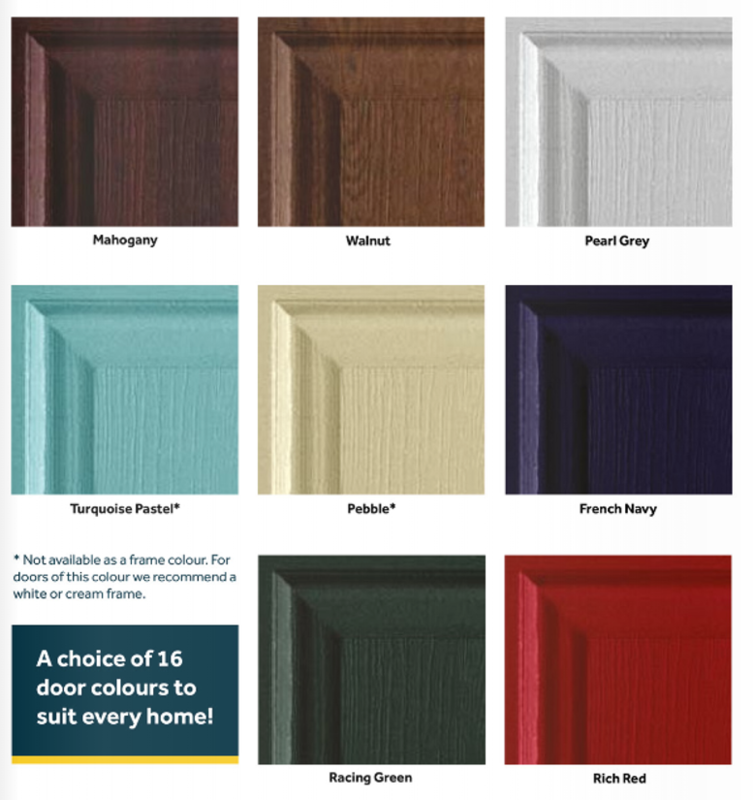 Endurance doors are available in a choice of 16 different colours, with the option to choose an alternative colour for the internal leaf. Most of our customers choose a white internal finihs, but with so many different colours available the choice is yours. 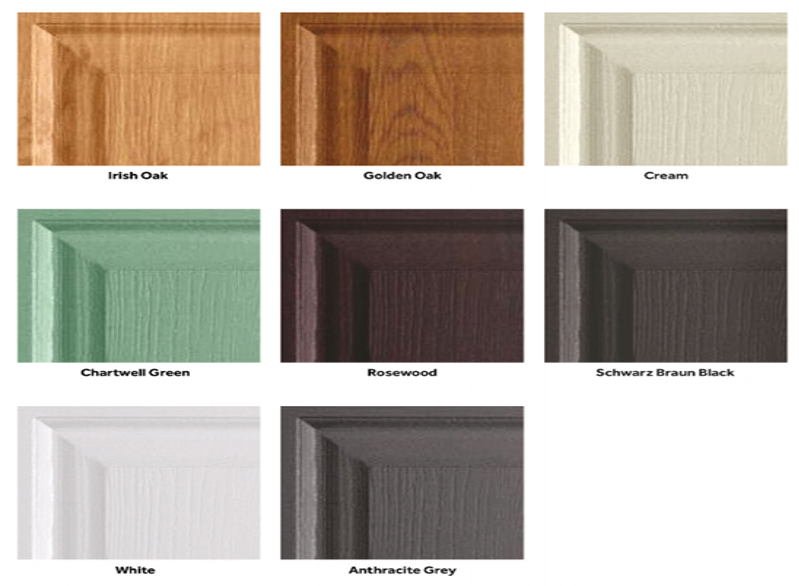 We're also able to offer the choice of matching door frames for most of our door colours.